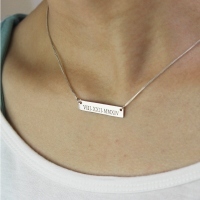 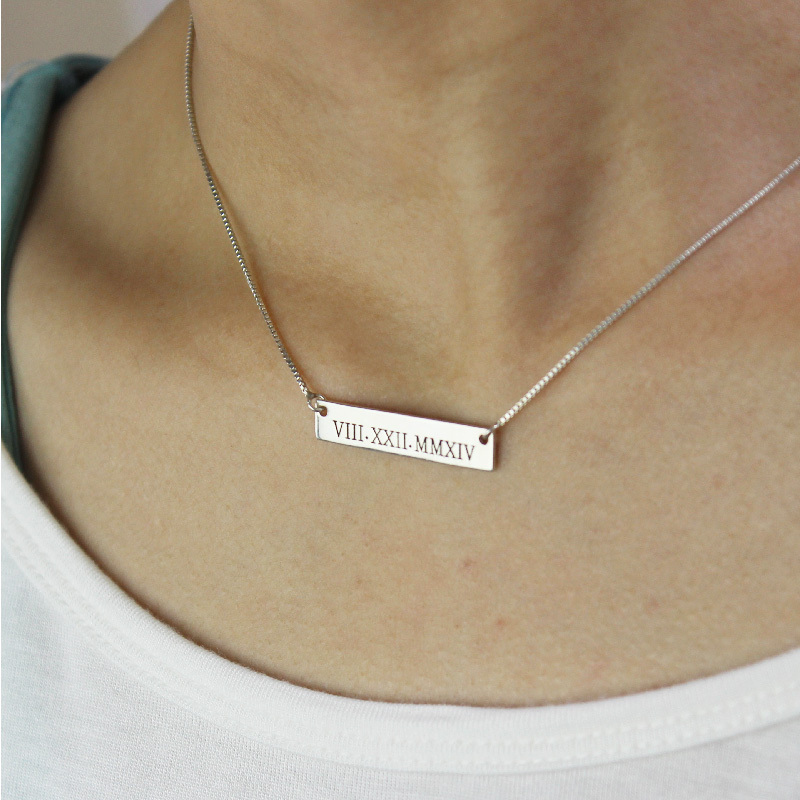 Valentine's Anniversary Date Bar Necklace Gifts for Her with any meaningful date number for your loved one!It's cans be wedding date, birthday or other special day for you. 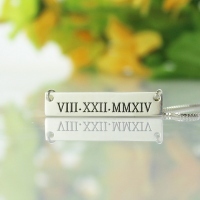 Great Christmas Gifts Idea & Birthday Gift Idea! Time formats ,MM-DD-YY. 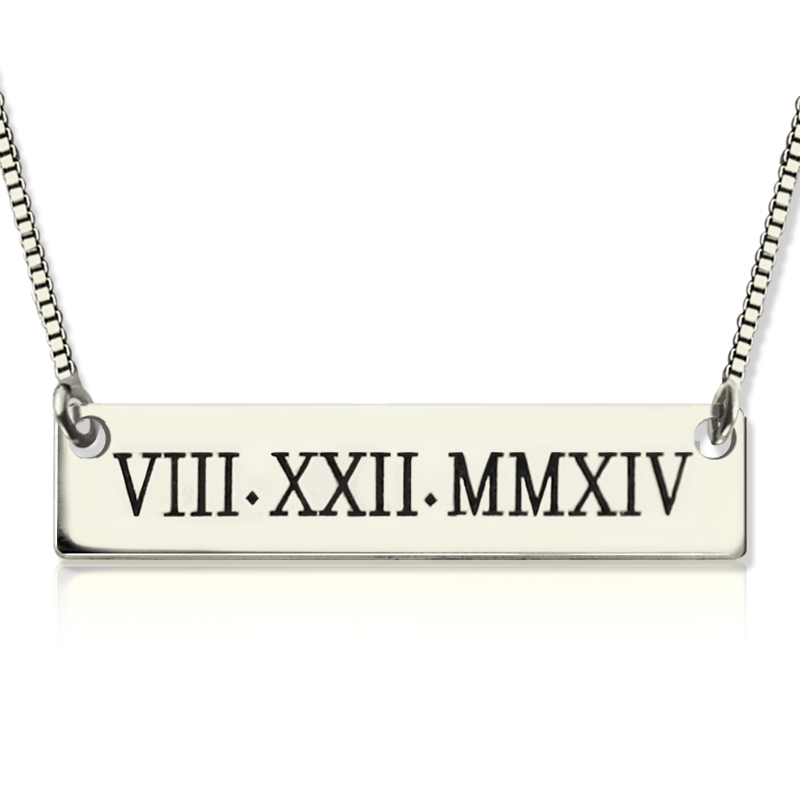 The Romans used just seven different symbols in their numeric system: I, V, X, L, C, D, and M.
The symbol V represents five, and X is ten. 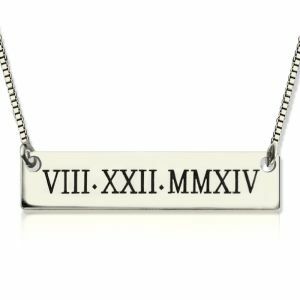 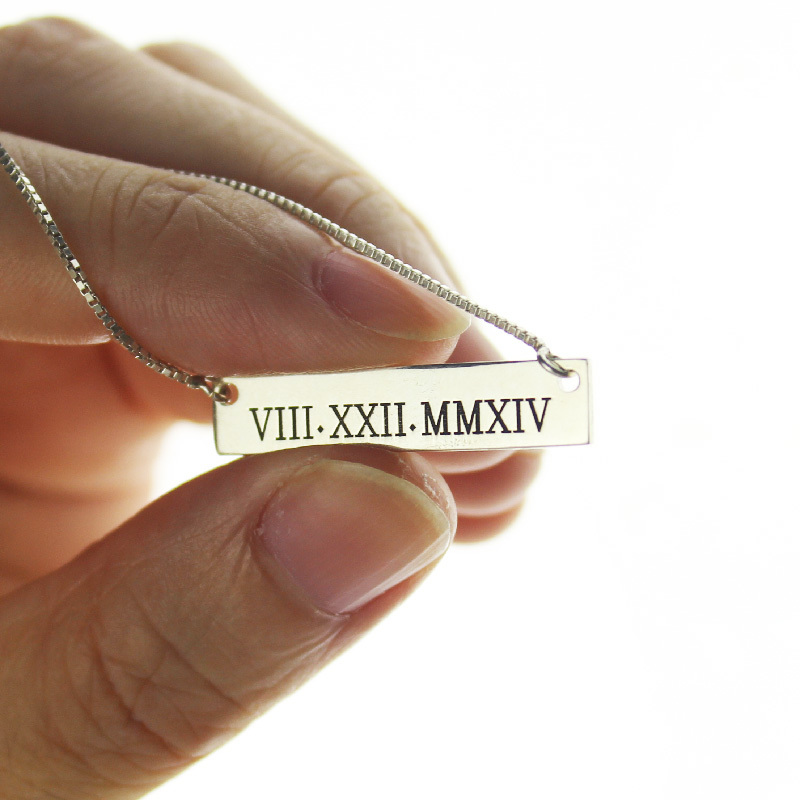 Using Roman numerals this way, we can symbolize the month, day, and year of your date in an elegant , classic, time-honored fashion.